Early this year I wrote an article titled, Twitter Username Shuffle, which touched on the trend of pop-up parody Twitter accounts during large scale, media-heavy events. I made the observation that because of the timeliness of the particular event, these types of accounts experience an influx of followers on Twitter. The example provided was from the 2014 Sochi Olympic Games. The account, @sochiproblems, tweeted and retweeted photos and statements about the less-than-desired state of facilities. At the time of the article the account had 343,000 followers with 256 tweets. Now that all the athletes and visitors have traveled home, what’s a @sochiproblem account to do? I was informed earlier today by a fellow Twitter user that the SochiProblem account has rebranded itself to @CanuckProblems. The account continues to tweet, now at 315 tweets, but has shifted its focus to Canadian-stereotype problems, including ice, snow, beavers, and desperate calls for Tim Hortons coffee. Although they have lost a number of followers, currently sitting at 239,000, the Twitter account lives on. As for the original @SochiProblems account, the username has been released and snapped up by another Twitter user. Unfortunately, the account only has 1 tweet and 55 followers. There’s something to be said about leveraging a time-sensitive opportunity – especially on social media. As social media becomes more ingrained in the fabric of our culture, businesses are beginning to develop social media guidelines, policies, codes of practice, and recommendations for employee use. 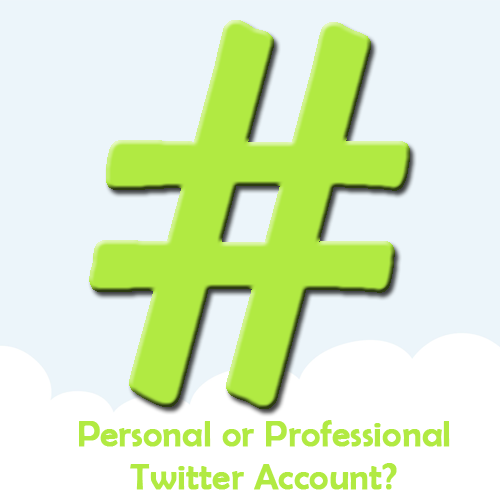 I have seen numerous examples of Twitter accounts being used for both business and professional purposes. I am certainly not saying this is wrong, but where do businesses draw the line with social media use by their employees? For example: If by day an employee is answering a customer question, but by night they are posting #selfies of their BFFS – from the same account – what impression will this leave with your followers? Understanding there are may types of businesses and organizations, including local government, non-profits, large corporate businesses, and entrepreneurs – what’s the right answer? 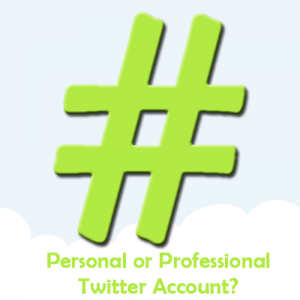 I asked my Twitter followers: “Is your Twitter account for business or pleasure? If it’s a combination how do you manage the content?” The answers I received didn’t necessarily address a “for” or “against” business versus personal, rather they touched on how they use Twitter on a day-to-day basis. @JenniferBakerCo A little bit of crossover, I try to make them both a reflection of my personality, but it depends on the context. Chris believes that his online and offline personality should be the same. This sameness allows individuals to develop a strong connection with you (and potentially your organization). He also mentions they he allows his personality to show through, which is fantastic – no one likes to do business with a robot. Rather than worrying about the account (business versus personal), Cristiano puts his customers first as he will answer customer/client questions when they are asked – regardless of the account. Outstanding customer service is hard to come by these days and Cristiano is a great example of customer service done right! @JenniferBakerCo I’ve always used mine for both. Tips: Be consistent, and be aware of your (mixed and sometimes invisible) audience(s). While Naila has always used her account for personal and professional purposes, she is aware that there exists an “invisible” audience. These are people who may not follow you, but may see your tweets if they are retweeted, searched via keywords, or even embedded in blogs like this one! As a result, Naila is consistent in her messaging and aware of the public factor and that someone is always listening. Touched on earlier (see #1), people do business with people. While having a Twitter account primarily for business purposes, Kurtis believes a “sprinkle” of personal is important to develop trust with followers. The lesson in this week’s blog: People want to do business with a person, not an automated machine. While there are a number of tools to automate posts, you need to develop a personality and be able to respond to engagement and interaction. Thank you to all who submitted answers to this week’s social media question!